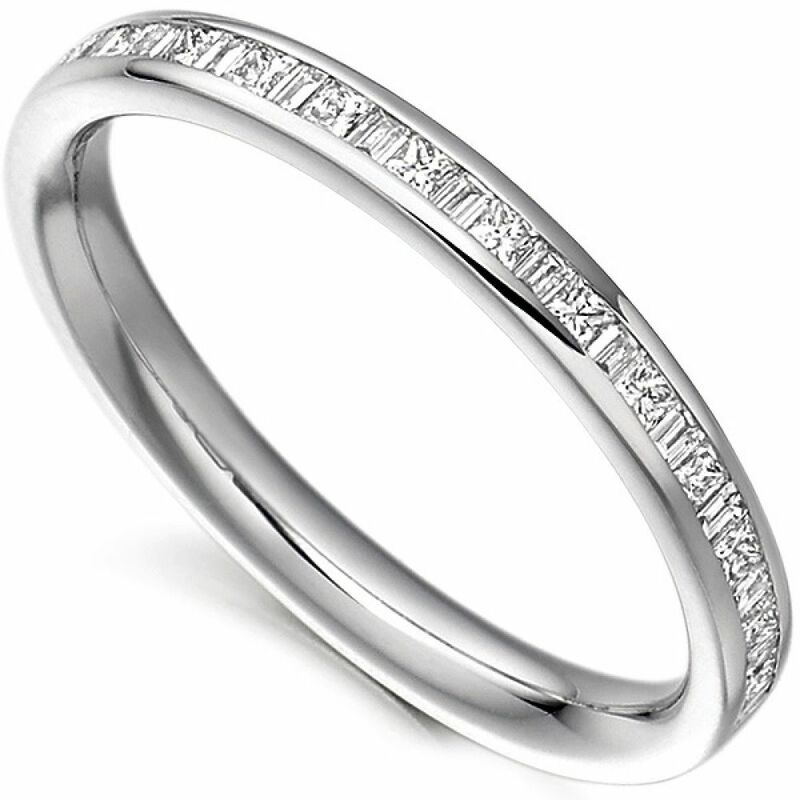 Half princess cut and baguette cut diamond eternity ring, created with 0.30cts of alternating diamond shapes across a 2.4mm wide band. 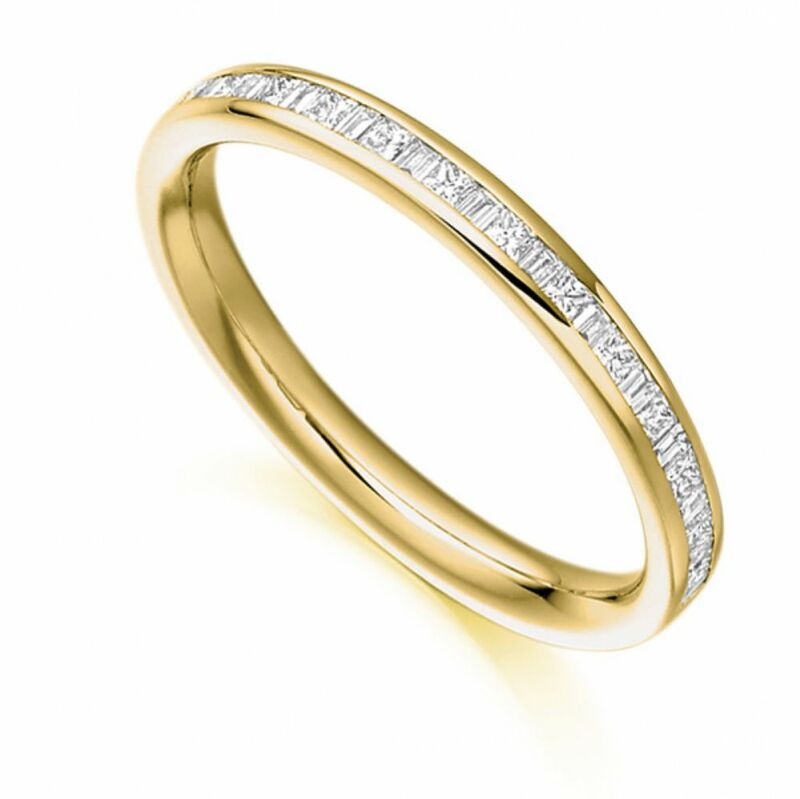 This elegant design features both Baguette cut Diamonds and Princess cut Diamonds in an alternating pattern, which spans across the top half of this Eternity Ring design. Each Diamond is precision set into a channel style setting, sitting securely and beautifully within the centre of the band. With a total Diamond carat weight of 0.30cts, the Diamonds within your ring have all been expertly graded F Colour and VS1 Clarity prior to being set. The band itself measures 2.4mm in width, and is a traditional court profile band, allowing both comfort and beauty to combine in one design. We can create your ring for you in a number of precious metals, including 18ct White Gold, 18ct Yellow Gold, 18ct Rose Gold, 950 Palladium, and 950 Platinum. Please allow approximately 3-4 weeks to craft your ring in your preferred precious metal choice, and it will be delivered straight to your door by a secure courier, presented in our luxury packaging.